Faces in the Vail Crowd? With Answers? Sometimes you have to know (as St. Matthew would say) – where to seek – so ye can find. 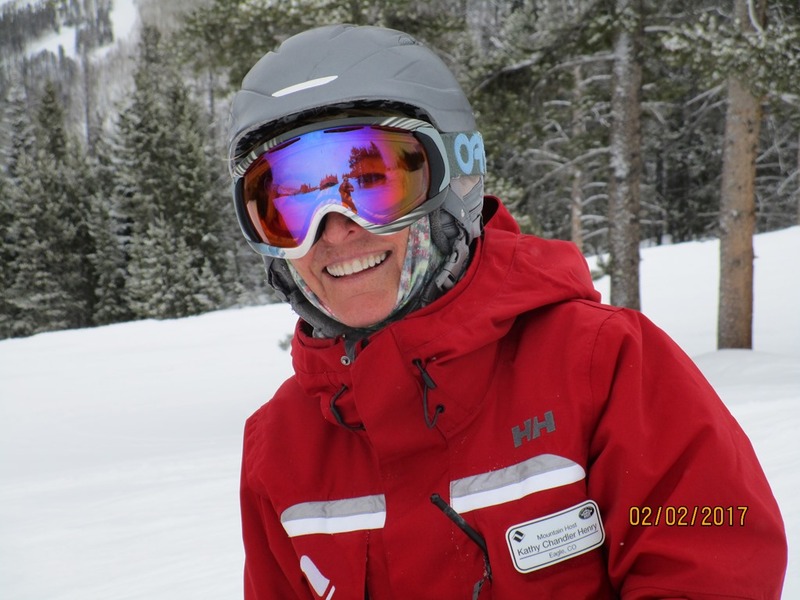 Eagle County Commissioner Kathy moonlighting as a forthright Red Jacket “information gal” – has been known to conduct her own (informal) survey of our Ski Tourists – while riding the Chairlifts on Vail Mountain. What has she learned? That Tourists flying into Eagle County – invariably like to visit the Gypsum Costco on their way to start their Ski Holiday. More families tend to fly into Denver and drive up. The ECT folks took a couple of runs at Vail with Commissioner Kathy determined to grow her knowledge base (we did) about our local Public School District – information that (to date) has been withheld from our Community at large. See below.